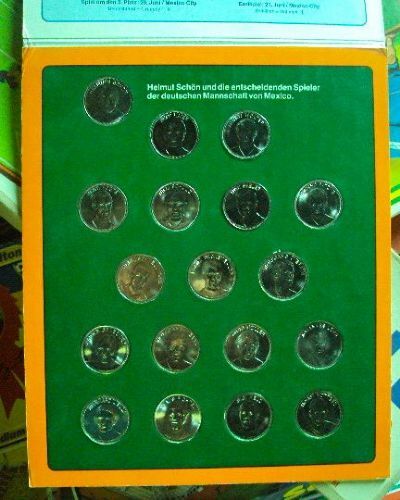 This set of 18 coins from Shell Petrol in Germany was available with two different collector folders/boards. 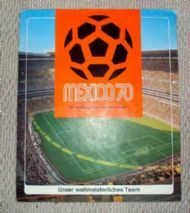 One was a simple piece of card with collector slots, the other was a more elegant folder with a cover and colour images. The listed player coins on both cards are the same. 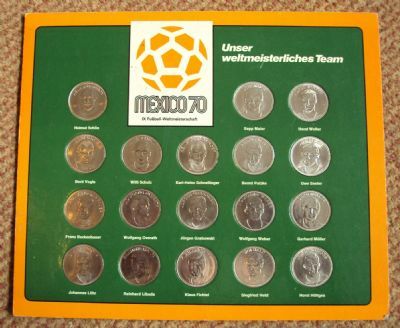 Beckenbauer, Fichtel, Grabowski, Held, Hottges, Libuda, Lohr, Maier, Muller, Overath, Patzke, Seeler, Schnellinger, Schultz, Vogts, Weber, Wolter und Schon. Interestingly both collector boards have full details of the tournament and so were produced after the end of the world cup in Mexico. 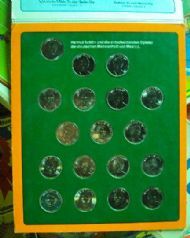 Lovely complete set of 18 coins plus collector board. 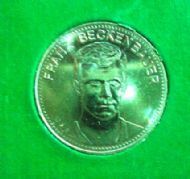 A complete set of coins in the better finished folder with cover and colour printing. 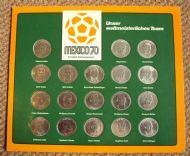 The collector board in colour and with a cover did not have the players names printed on it whilst the other version did. 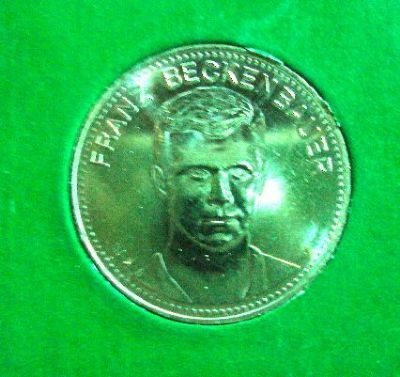 Classic coin design with bust and name and Shell logo on reverse. 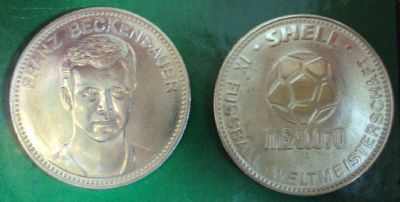 These are heavier better produced coins than the ESSO English versions for the same world cup.